Hello! I am Amanda, also known as Aurelieke92. 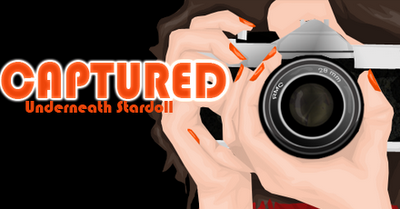 I'm one of the newer judges for Captured, and I hope you enjoy reading these posts as much as I had fun typing them. She prefers to be called Kuki and she is from Russia. One of the main Reasons I captured Kuki is because she manages to use really funky pieces and interlace them into one whole outfit. She also follows several of the Spring trends, but adds a splash of summer to it. LovelyHula: Something about this outfit makes me not really have a taste for it, Im not sure if its the shoes or accessories? Its okay, but its not my favorite. Pau.Cam.Arena: Wow, what she is showing is how to make a serious outfit funny, the tail hem skirt fits perfect to her blouse, and the sneakers added the casual look, but in my choice I would have wore another hair and without that headband. Kickherout: I absolutely love that outfit ! the mix between the top and the skirt is just perfect : ruffles and draped things are a very good match I think ! But I wouldn't have chosen those shoes, they are too "sporty" for this (maybe with a tshirt instead of the ruffle top would have been better... I would have put sandals instead). Great finding though! Anastasiarts: This outfit is perfect for summer, the orange top is so bright and free! It gives me a positive feeling when I look at it and it is also well-combined. The only thing I don't the shoes. I don't believe they match with the rest. But anyways, it's a nice outfit!